Dr. Berrien Moore III is an internationally recognized Earth scientist who has been honored by National Aeronautics and Space Administration (NASA) and the National Oceanic and Atmospheric Administration (NOAA). He received his Bachelor of Science in Mathematics in 1963 from the University of North Carolina and his PhD in Mathematics in 1969 from the University of Virginia. Berrien Moore III joined the University of New Hampshire (UNH) mathematics faculty in 1969 and became a tenured professor in 1976. He was recognized by UNH in 1992 for research excellence and was named University Distinguished Professor in 1997. From 1987 to 2008, Moore served for as the Director of the Institute for the Study of Earth, Oceans and Space at UNH. During his period at UNH, Moore also held numerous visiting scientist positions including visiting Senior Scientist at the Laboratoire de Physique et Chimie Marines at the Universite Pierre et Marie Curie in Paris and at the Institute of Meteorology at the University of Stockholm. Earlier, he served as a Senior Research Fellow at the East-West Center in Honolulu and as a Fellow at the Marine Policy and Ocean Management Program at the Woods Hole Oceanographic Institution. Currently, he serves on the UNH Foundation Board. In 2008, Moore left UNH to serve as the founding Executive Director of Climate Central, a think-tank based in Princeton, New Jersey and Palo Alto, California, which is dedicated to providing objective and understandable information about climate change. In the summer of 2010, Moore joined the University of Oklahoma, where he holds the Chesapeake Energy Corporation Chair in Climate Studies. He also serves as Dean of the College of Atmospheric and Geographic Sciences, Director of the National Weather Center, and Vice President for Weather and Climate Programs. He has published extensively on the global carbon cycle, biogeochemistry, remote sensing, environmental and space policy, and mathematics. Professor Moore chaired the overarching Scientific Committee of the International Geosphere-Biosphere Programme (IGBP) from 1998 to 2002 and as such led the July 2001 Open Science Conference on Global Change in Amsterdam and is one of the four architects of the Amsterdam Declaration on Global Change. He was the Coordinating Lead Author for the final chapter, "Advancing our Understanding," of the Third Assessment Report of the Intergovernmental Panel on Climate Change (IPCC), which was released in Spring 2001, and as such has been honored for contributing to the award of the 2007 Nobel Peace Prize to the IPCC. He has contributed actively to committees at the National Academy of Science; over the last decade and a half, he served as Chairman of the National Research Council’s (NRC’s) Committee on International Space Programs of the Space Studies Board that, in collaboration with the European Space Sciences Committee, jointly published U.S.-Europe Collaboration in Space Science. In 1999, he completed his Chairmanship of the National Academy's Committee on Global Change Research with the publication of Global Environmental Change: Research Pathways for the Next Decade. From 2004 to 2007, Moore co-chaired (with Rick Anthes, Past-President of University Cooperation of Atmospheric Research) the NRC decadal survey, Earth Observations from Space: A Community Assessment and Strategy for the Future. This was the first Decadal Study for the Earth Sciences and had significant impact in the United States. Most recently, he was member of the Informing Panel of the overall NRC study on America’s Climate Choices and is a member of the Committee that is completing the report Beyond Landsat: Meeting the Needs for Sustained Land Imaging. From 1984 to 1988, Professor Moore served as a committee member of NASA's senior science advisory committee, the Space and Earth Science Advisory Committee (SESAC), which published its report in 1986: The Crisis in Space and Earth Science: A Time for a New Commitment. In 1988, he assumed Chair of SESAC and served until 1992. He concurrently served as a member of the NASA Advisory Council. Additionally, he has served NASA through a variety of other positions including Chair of the EOS Payload Advisory Committee, member and Chair of NASA’s Earth Science and Applications Committee, Goddard Space Flight Center Review Committee, and member of the Executive Committee for the Earth System Science Study. 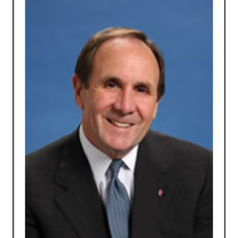 He currently serves on the JPL Advisory Council. From 2004-2005, Moore chaired the NOAA Research Review Team and has served on the Research and Development Portfolio Review Team for the NOAA Science Advisory Board. In recognition of his lifelong dedication to science, he has been the recipient of numerous honors, including the NASA Distinguished Public Service Medal for outstanding service to the agency – NASA’s highest civilian honor; the NOAA Administrator’s Recognition Award; and the 2007 Dryden Lectureship in Research Medal by the American Institute of Aeronautics and Astronautics. He is an elected Fellow of the American Meteorological Society and International Academy of Astronautics.